I am very pleased to have contributed my #thingstodobirds mother bunting to the #motherbunting project run by Artist Sarah Dixon. 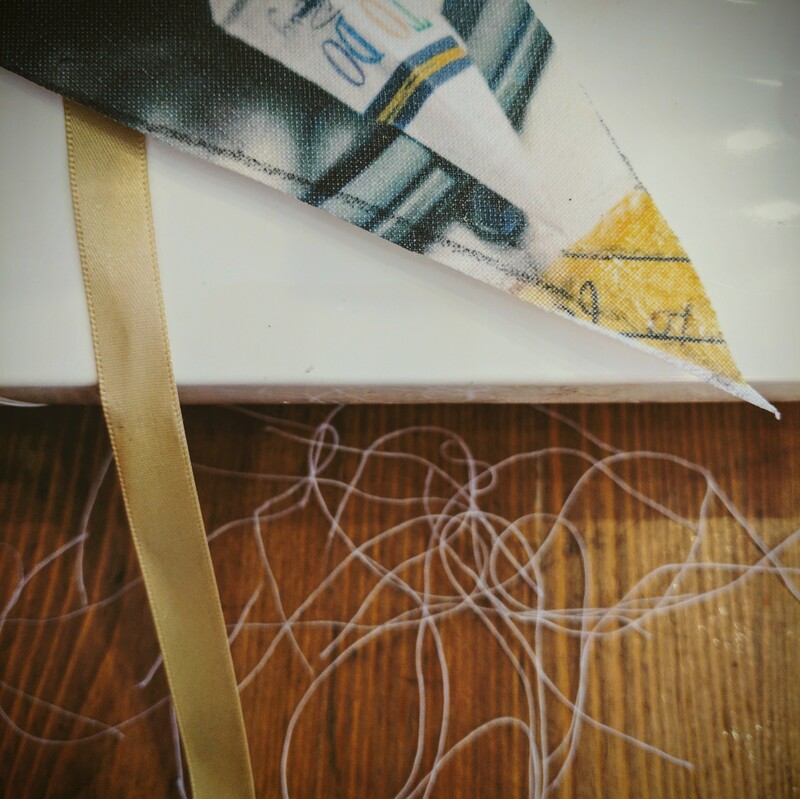 A project encouraging mothers to create their own bunting (on those cute little triangles that blow in the wind and look so pretty and nice) that tells a story of what is really going on; the reality of motherhood with all its noise, pain, joy, busyness, doubt and fear that is only really visible when you look closely. There is currently an online show of Mother Bunting at US based Journal Mom Egg review . The Act of turning the images created from #thingstodobirds ( origami birds made from mothers artists ‘to do’ lists placed in domestic settings) into mother bunting is a demonstration in itself of my own motherhood, reflecting the care, nurture, craft , pain, frustration and creativity involved. And also trying to find time to fit it all in! The two projects fit well together both highlighting the reality of motherhood, the need to look closer to see what is actually going on and the ultimate beauty of it all amidst the madness. You can see my submission here.